Blue State Coffee Latte Throwdowns: Round #33 Winner! 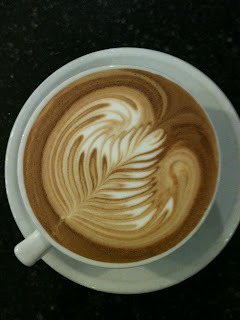 Congratulations to Emma Messore for taking top latte in the July round! By unanimous approval, this lovely pour had the winning combination of fine definition, interior color, full use of the cup, and symmetry.